Each day, we at the Clinton Foundation work to help solve problems and improve the lives of people around the world and here in the United States. Over the past 15 years, the Foundation has helped make HIV/AIDS treatment available to more than 11.5 million people in 70 countries. Our rural development work has helped more than 150,000 farmers in East Africa dramatically increase their yields and their incomes through better tools and training, and millions more people around the world have the opportunity to live better lives because our programs are improving global health, increasing opportunity for girls and women, and creating economic opportunity and growth. Here, in the US, we’ve promoted healthier habits like nutrition and exercise to 20 million kids in 35,000 U.S. schools, in every state, who now have access to healthier food and more physical activity options. We’re also working with partners to curb 10,000 opioid-related deaths across the country; distribute more than 835,000 books to kids and families in our underserved communities; spur investment in our communities and our future; and, at every step, build upon the legacy of President Clinton through our work, together. Unfortunately, our record and impact is sometimes overshadowed by critics who make erroneous and unprecedented charges against the Foundation. To make things clear, we’ve outlined key facts about the Foundation below. We invite you to learn more about our programs, follow us on Facebook, Twitter, and Instagram, and read the facts about the Foundation on our website. FACT: We’re an Operating Foundation that Runs Our Own Charitable Programs. This claim ignores how different charities operate, and Politifact and FactCheck.org have refuted these claims time and time again. FACT: Our Donors Know What They Support, and You Know Our Donors. Donors — no matter how big or small — know that their support is used to efficiently and effectively make a difference in the world by supporting the life-changing work of the Foundation’s programs. We’re proud to share news about our work, and we’re clear about how we do it. In fact, you can find our list of donors and financial information on our website. And, while critics claim donors received favors from the State Department, numerous investigative reports have debunked these claims. Some critics also continue to claim that the Clintons financially benefit from the Foundation. But as we show, and Politifact has confirmed, the truth is that the Clintons do not take a salary from the Foundation. In fact, rather than take a salary, they have contributed millions of dollars to the Foundation themselves. FACT: We’re Making an Impact Across the United States. From helping millions of school kids combat childhood obesity by partnering with the American Heart Association and fighting the opioid epidemic, to promoting early childhood education and literacy, improving America’s infrastructure, and expanding home ownership in Detroit, our programs are making a real difference in the lives of millions of Americans. CGI America has brought together leaders from business, philanthropy, and government to encourage economic growth in the U.S., leading to more than 500 Commitments to Action that have improved the lives of more than 4.9 million people. This includes a commitment by the AFL-CIO that has resulted in more than $16 billion allocated — $12 billion of which has been deployed — to U.S. infrastructure investments, creating at least 50,000 jobs; a commitment by the Carnegie Corporation to recruit and train 100,000 STEM teachers in 10 years; and, a commitment by the Community Reinvestment Fund with local, state, and national partners to launch the Detroit Home Mortgage to make it easier for 1,000 people to own homes in Detroit. The Clinton Foundation also runs the Clinton Presidential Center (commonly known as the Presidential Library) in Little Rock. A study by the local Chamber of Commerce found that since opening, the Center has helped generate $3.3 billion in economic impact in the Little Rock community. Read more about what the Clinton Foundation does in the United States here, in a post by our President, Donna Shalala. FACT: We take pay equity and equal opportunity seriously. We take pay equity seriously at the Clinton Foundation, and allegations suggesting major pay discrepancies between men and women at the Foundation are false. FACT: President Clinton and the Clinton Foundation’s only goal in Haiti is to help the people of Haiti. For many years dating back before the 2010 earthquake, President Clinton and the Clinton Foundation have worked to help the people of Haiti. These efforts helped mobilize emergency relief after several hurricanes and an earthquake struck Haiti. The driving force was always to get help to where it was desperately needed as quickly as possible. President Clinton and the Clinton Foundation have also supported long-term recovery efforts, including spurring investment in the country, and helping to lift people out of poverty through a number of programs operating on the ground. Most recently, CGI Haiti Action Network members have mobilized aid and support for Haiti in the wake of Hurricane Matthew, with the Foundation directing donors to these partners providing emergency relief services. Critics have alleged special access was given to people and organizations that wanted to help in the wake of the earthquake, simply because they had worked with us or supported our efforts previously. To be clear: in the wake of the 2010 earthquake that devastated Haiti and left hundreds of thousands dead, President Clinton and President George W. Bush worked with a wide range of partners to mobilize relief efforts immediately, and many people they had previously worked with responded to this call to help. Despite allegations to the contrary, FactCheck.org confirmed that no decisions were ever made to benefit Foundation donors, and there’s no evidence to support that. This claim has also been rated false by Politifact. You can read an in depth look at our work in Haiti on Medium. 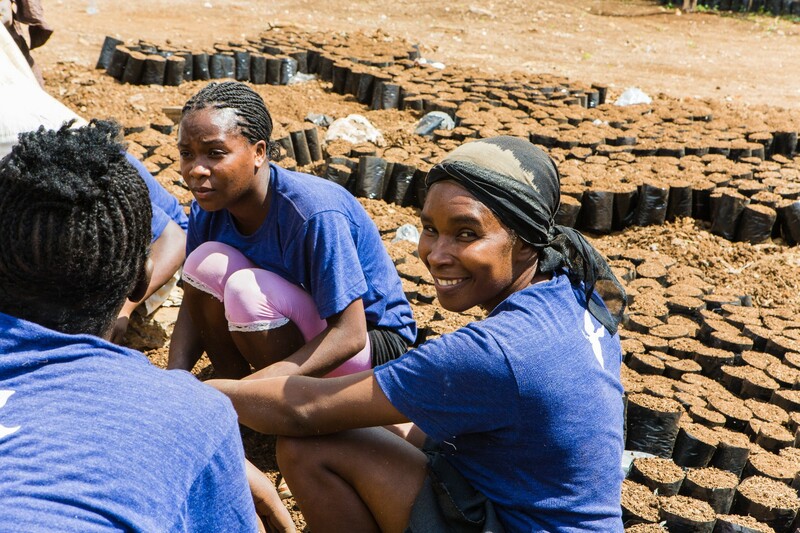 Since 2010, the Foundation has worked on the ground in Haiti with a range of partners– helping more than 7,500 farmers lift themselves out of poverty; improving the Haitian environment by planting more than 5 million trees and installing more than 400 KW of clean energy; and supporting women through literacy training and job skills for over 2,000 women. The Clinton Foundation also works through CGI’s Haiti Action Network to help the country build back stronger — facilitating more than $500 million in projects and investments — including building and supporting schools, medical facilities, small businesses, and water and sanitation infrastructure. We continue to work with partners on the ground to address on-going challenges . Most recently, Clinton Foundation partners and CGI Haiti Action Network members have mobilized for Hurricane Matthew response efforts. You can read more about the ongoing work on the ground and commitment to continuing efforts in our blog here. The Washington Post Fact Checker also awarded “four pinocchios” to false claims about an industrial park in Haiti and the Clinton Foundation’s connections to it. FACT: The Clinton Health Access Initiative has Helped Millions around the Globe Get Access to Life-Saving HIV/AIDS Treatment. As Politifact has affirmed, millions of people in the developing world have been provided access to HIV/AIDS treatment through the work of the Clinton Health Access Initiative. But that hasn’t stopped critics from pushing false and irresponsible claims that CHAI distributed “watered down” drugs. FACT: Global Development Takes Global Engagement. Countries support our work because they have a shared interest in issues such as combating climate change, fighting HIV/AIDS and Malaria, disaster response and recovery, alleviating poverty, and building health systems across the developing world. For example, Norway has supported our work with island nations on their transition to renewable energy, and Australia, through their international development agency, has supported the HIV/AIDS work in Southeast Asia. That hasn’t stopped critics from focusing on a handful of countries in that have supported our work for years, suggesting their involvement is now somehow unique. For example, since 2002, Qatar has been among our hundreds of thousands of donors who have supported our work, and despite the conjecture based on incomplete and unverified evidence, there is no proof that this donation would warrant clearance from the State Department. Finally, proving just how callous these allegations are, Politifact debunked claims that the Foundation took money from countries on the terrorist watch list. We hope these facts have been helpful. We’d encourage you to share these facts, which you can find on our Facebook, Twitter, and Instagram feeds. Charity watchdogs agree that the Clinton Foundation ranks among the most effective and well-regarded organizations in the world. Know the facts.